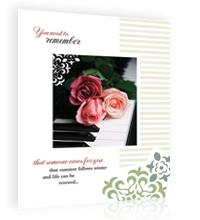 SYMPATHY MESSAGE CARD - A beautiful condolence message greeting card with a song to comfort and encourage. When someone you care about is hurting deeply, it isn't easy to find the right words to put in a note or card for them. It can feel like no matter what you say, it doesn't quite sound right. Thankfully we have some suggestions and ideas that might help. What do you say to bring comfort or encouragement to those who are grieving? Send your loved one a quality greeting card that includes the heart-touching song You Need to Remember on a cd. 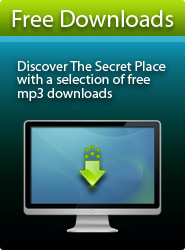 To listen to the song, click on the player on the left. 1. Write words of comfort, support and kindness. 2. Let them know that their loved one was remembered fondly. 3. Write a small anecdote of a fun or loving memory you shared with them. 4. If you did not know the deceased personally, a message like this would be appreciated. "I'm/We're so sorry to hear about the loss of your beloved .... I/We can only imagine how much you must miss him/her and I/we want you to know that you (and your family) are in my/our thoughts and prayers at this difficult time." "If I/we can help in someway, please do not hesitate to contact me/us." "You need to remember... that someone cares for you." 5. The lyrics of the song You Need to Remember beautifully convey the message that you care and are thinking of them in their time of loss. If you want to send something really special to your loved one, this beautifully designed greeting card is perfect for the occasion. It includes a CD of the song You Need To Remember that will bless and encourage your loved one. "It is almost as if you knew exactly where I am, at this time in my life. "